Leading Manufacturer of outdoor stand, garden plant stand, hanging garden pot stand, iron garden tiles stand, dhol stand and decorative plant pot holder from Pune. 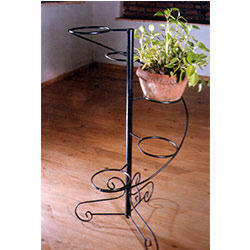 We are offering for our valued clients quality approved Decorative Plant Pot Holder. Use to hold plants pots, the offered plant pot holder are designed by our experts by utilizing optimum quality material in accordance with the market standards. 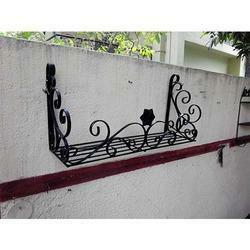 This plant pot holder is made available in various designs & widely demanded for its quality & durability. 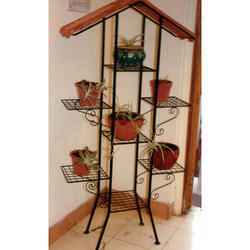 Our customers can avail this plant pot holder from us at nominal rates. 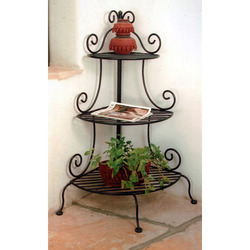 To beat the competition and stand tall in the market, we are proficient in offering a wide range of Wrought Iron Garden Pot Stand. This outdoor stand is made as per the international standards & advance technology by using high quality material. The offered outdoor stand is made available in various stipulations to meet the diverse needs of our customers. Furthermore, this outdoor stand can also be customized in various options. 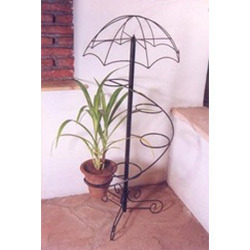 We are the highly coveted and widely acclaimed manufacturer, wholesaler, retailer and supplier of a defect-free assortment of Wrought Iron Powder Coated Bullock Cart Pot Holder Stand. The offered garden pot holders are perfectly designed by using high grade material and latest technology in synchronization to market standards. Moreover, these garden pot holders are made available in various customized options like designs and sizes as per needs of our customers. 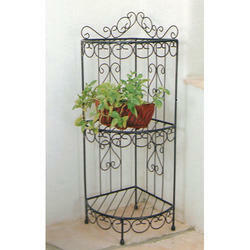 These garden pot holders are widely demanded in the market for its quality & durability. 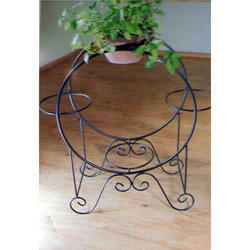 Looking for Garden Stands ?